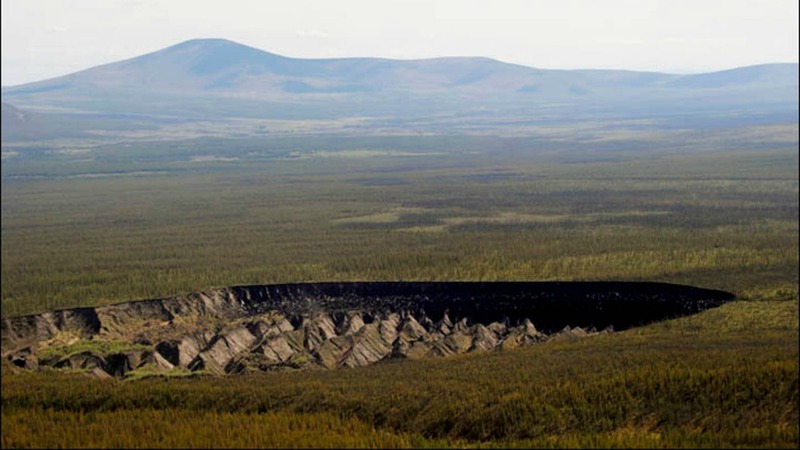 A massive crater in Siberia is expanding at an unbelievable rate. Siberia is home to all sorts of mysterious natural phenomenons, and now a ‘Hellmouth’ has opened up there, which might be the craziest of the lot. 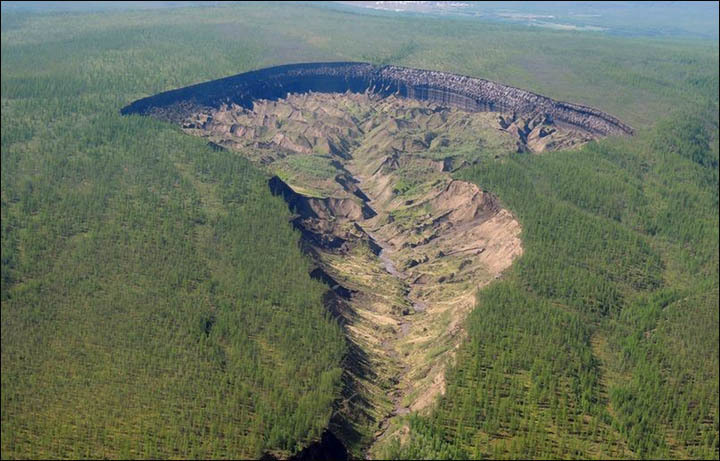 The Batagaika crater, or as the locals fondly call it ‘the doorway to the underworld,’ is one of many pits sinking further into the earth across Siberia. It’s already 85m deep, and it’s deepening at a worrying rate of 10 – 30m per year. Worryingly, the pit seems to prove that earth is eating itself, and there’s nothing Engineering, or even a band of superheroes can do to stop it. As the holes deepen, gases like methane are releasing and will likely speed up global warming too – so it’s pretty much all bad news. On a lighter note, this hole in particular also has scientists in a fluff as it’s revealing ancient remnants such as extinct animals and intact trees from hundreds of thousands of years ago. A new study focuses on these discoveries, and it makes for pretty fascinating reading. 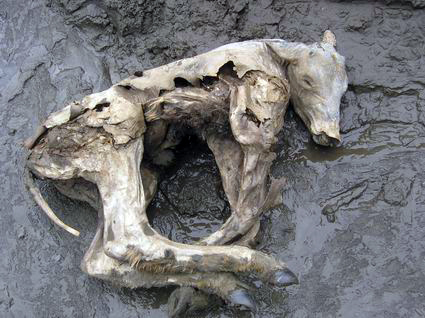 The findings thrown up by the ‘Hellmouth’ include a mammoth, musk ox and a 4400-year-old horse. A petrified forest has also been uncovered, proving that a massive tundra full of vegetation once embedded the land. The crater is also informing researchers about climate change past and present and can give a much clearer idea of what the planet looked like eons ago. Additionally, the hole’s sediment is providing a history of the Ice Age not seen before, which could greatly aid us in understanding our modern environmental issues. “Ultimately, we’re trying to see if climate change during the last Ice Age [in Siberia] was characterised by a lot of variability: warming and cooling, warming and cooling as occurred in the North Atlantic region,” the study’s co-author Julian Murton told the BBC. 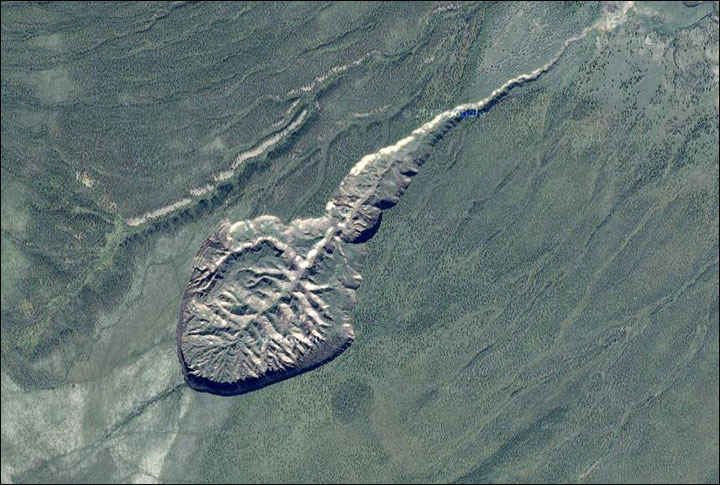 The Batagaika crater is getting deeper every single day, so who knows what else we’ll discover over the coming months.